How do you feel about securing two victories in one day? I had no idea that I was going to be sent out as the ace. I was able to win because coach Kim believe in me when he sent me out. I want to thank the coach for deciding that I would be the ace. Were you feeling the pressure from the fact that you guys were down 0-3? I felt pressured a little. I had to win or the team was going to lose. I approached my game with the mentality that I had to win no matter what. You are showing a strong form on Bifrost. Whenever I practice on that map, I don't really lose. I always block any all in that comes my way on that map and then I just go on to win. I think that map is very advantageous for Terran. It's because the entrance is narrow and the third expansion is far away. It's also very easy to defend your expansions. How do you feel about participating in Proleague? It is fun. The excitement from the fans is also amazing. All these factors are just so good and also a good motivation factor for working hard. How is spending time with the EG players going for you? The atmosphere in the team house is really fun. I also don't feel stressed. I still live at home but I often spend the night at the team house when we have a match the next day. When I did my interview back at YongSan, I stated that I wanted to grab the most wins award, the rookie award, and the best Terran player award. Also, if we win the championship, they give out an MVP award so basically, I want them all. When will EG-TL make it to the top? Around the time when we reach the winners' league, we should be able to to make some really good results. The team calls you the right hand. How do you feel about that? It's a compliment I am receiving from skilled players so I feel good about it. I think that kind of name even motivates me to work harder. You've secured four wins already but who do you think will stand in the way of you grabbing the most wins achievement? SK Telecom's Rain and KT's Flash are definitely competition. Regarding Rain, I need to grab revenge for the MLG Fall Championships. 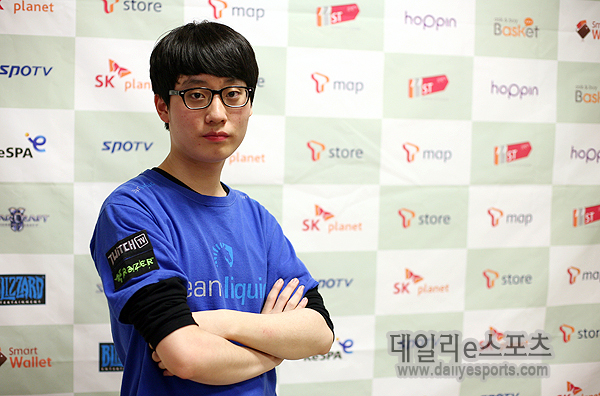 If you had to evaluate the KeSPA players' skills for Proleague? The really good players are similar to the ESF players. There are still players who have yet to adapt completely but I'm sure they will get there with the right amount of effort. JYP sunbae must have reached his mental capacity since he helped me so much on Bifrost that I want to thank him for that. I want to thank the fans, my parents, my brother, and my aunt for always cheering me on. Lastly, I want to thank our sponsors Twitch.tv, Razer, ShinyThings, and Barracuda Networks. I am become death, for I am the destroyer of worlds.....You will be missed KT Violet!!! "It's also very easy yo defend your expansions" i think it should be to. Wait... is he telling us to get ready for Team Taeja all-kill action? My body is not prepared. Nope! TaeJa went all street during that one part of the interview. I love seeing Taeja's smile every time he wins I hope he and EG-TL gets more wins. Random question but since this is EG-TL's first proleague are they all qualified to get best rookie? Awesome! I can't wait for the all-kill format rounds, TaeJa going to destroy! I hope he gets all those awards, without having to be overplayed. How Team Taeja saved Christmas! I hope we'll see more wins, EGTL fighting! Woot! Just what I wanted for Christmas! And perfect holiday translation Seeker! my logic would be if it's the player's first time playing in proleague only.